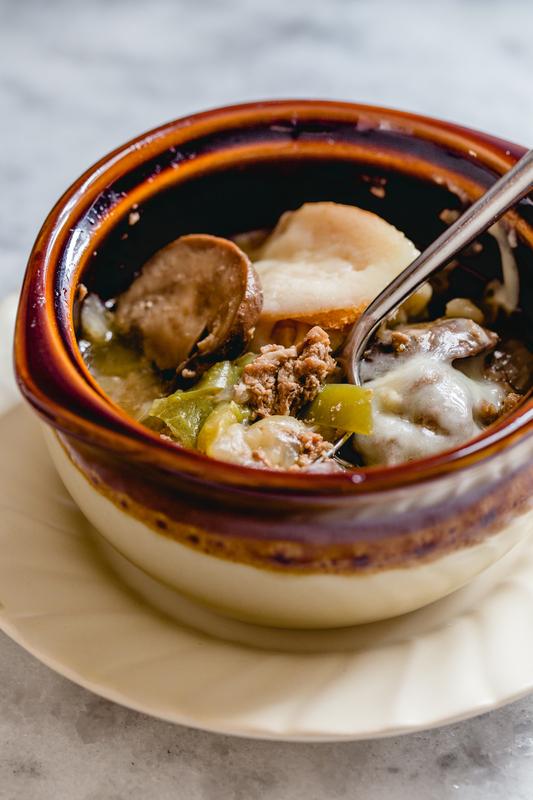 Get ready for the big game with Instant Pot Philly Cheesesteak Soup! Now you can have all of the flavor of your favorite Philadelphia staple in a warm, comforting soup. When it comes to the blog, this is quite possibly my favorite week of the year. It’s Soup-er Bowl Week!!! This is the week that my friends Melanie and Courtney team up to share some rockin’ soup recipes to get you ready for the big game. I’m kicking off Soup-er Bowl week 2018 with something that I’ve been brainstorming all football season long. You see, my husband and his family are huge and loyal Philadelphia fans. Like, his whole family. Growing up near Philly, it’s not shocking that this is the case. So you can imagine this year has been quite…exciting. And nerve wracking. I am actually pumped to watch the big game this year, which is rare. I usually show up for the food, and the food alone. Well, not this year. This year I’ll be there for the game AND the ridiculous amounts of soup. The base of the Instant Pot Philly Cheesesteak Soup is a bed of caramelized onions giving it a French onion soup feel. The hearty, seasoned shaved beef makes this a stick-to-your ribs kind of soup. It’s topped off with a few slices of toasted hoagie roll and a slice of provolone cheese. Use oven safe bowls that can go under the broiler to melt the cheese. You’ll be good to go! 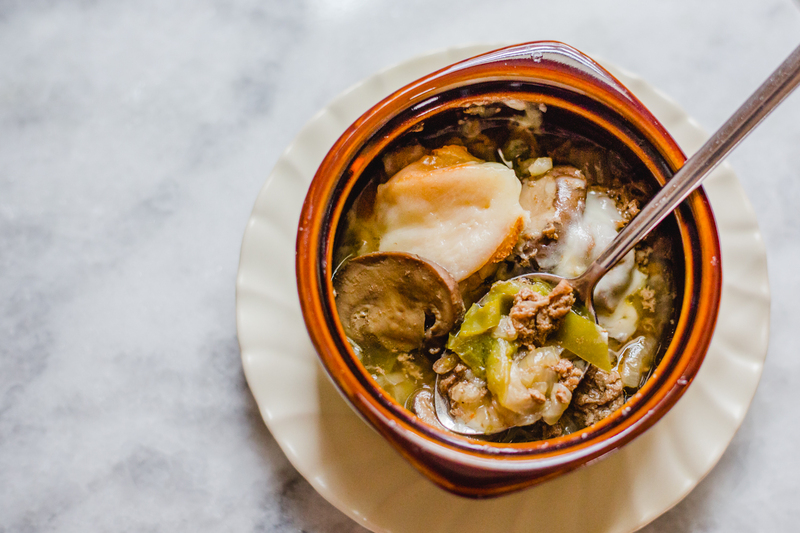 Want to make this Instant Pot Philly Cheesesteak Soup Low Carb? 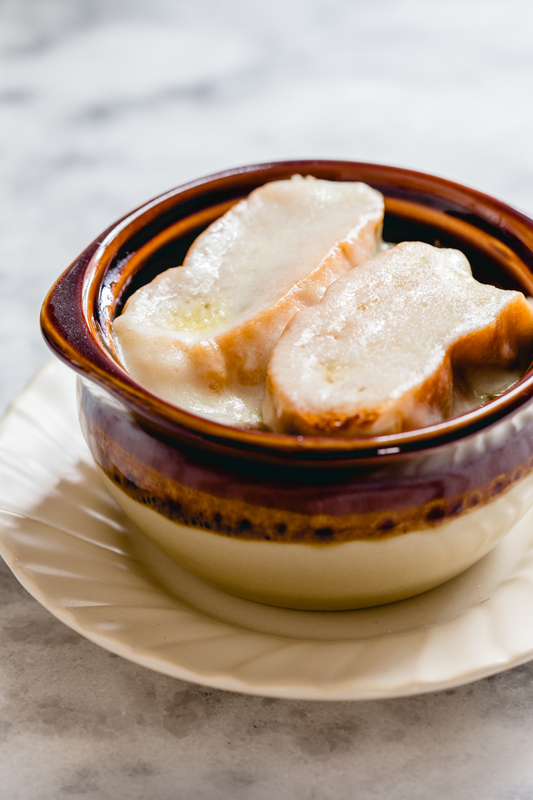 For my bowl (and for anyone else looking to cut down on carbs) I just skip the toast and put the provolone directly on the soup and stick it in the oven. You end up with all the gooey cheese which is honestly the best part. This wouldn’t be Soup-er Bowl week without a serious soup lineup! 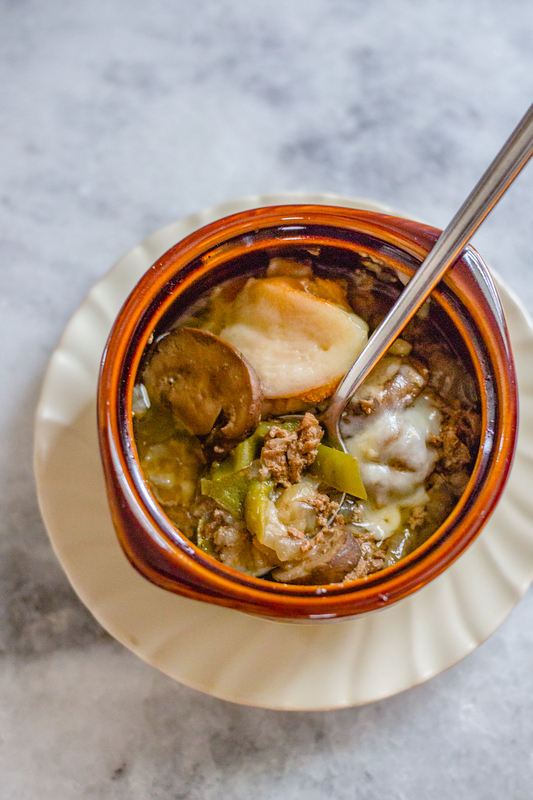 After you take a look at my Instant Pot Philly Cheesesteak Soup, be sure to check out Melanie’s Slow Cooker Mexican Beef Stew and Courtney’s Italian Sausage Tortellini Soup. I think an entire soup party for the big game would be pretty spectacular. We will be back on Thursday with three more soup recipes that you won’t want to miss! Hint: mine is another Instant Pot recipe! Place beef in a large bowl. Add Worcestershire sauce, liquid smoke, salt, and pepper. Mix to combine. Allow beef to marinate at room temperature while you cook the vegetables. 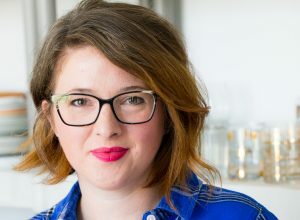 Set Instant Pot to sauté. Add olive oil and butter. When butter is melted, add onions. Season with salt and pepper. Cook, stirring occasionally for about 10 minutes or until onions have become soft and reduced in volume by about half. Add peppers and mushrooms and cook for an additional 4-5 minutes until vegetables are soft. Add seasoned beef to the Instant Pot and any accumulated liquids from the bottom of the bowl. Stir to combine. Pour in broth. Place lid on Instant Pot and cook on high pressure for 20 minutes. Allow soup to depressurize naturally. Slice hoagie rolls into 1 inch thick slices. Place on a rimmed baking sheet and toast under the broiler for about 1-2 minutes per side. Watch carefully to avoid burning. 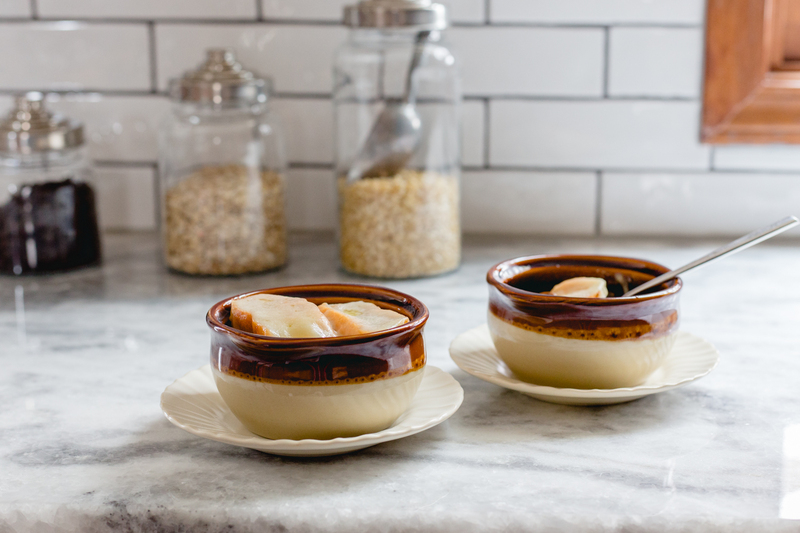 Ladle soup into oven safe bowls. 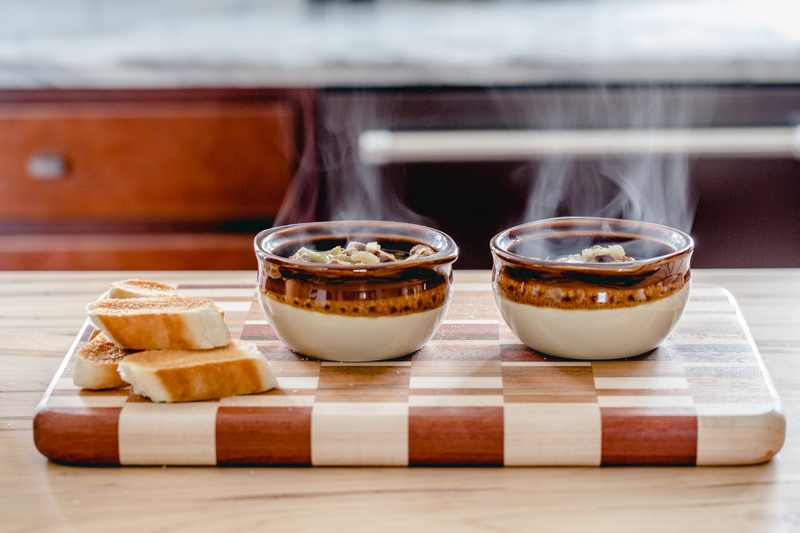 Top each bowl with 1 or 2 pieces of toast and 1 piece of provolone cheese. Place bowls onto a baking sheet and place under broiler for about 30-60 seconds or until cheese is melted. Serve immediately. Ask your butcher if they have already shaved beef to save prep time at home. If shaving the beef yourself, place beef in teh freezer for about 30 minutes then thinly slice with sharp knife. Make this soup low carb and keto friendly by eliminating the toast and placing cheese directly over soup. Broil as directed. Your videos are always so mesmerizing! This is an absolute must try – I have no doubt my husband would go crazy for it! Pinned! It contains wonderful and helpful posts. Keep up the good work!